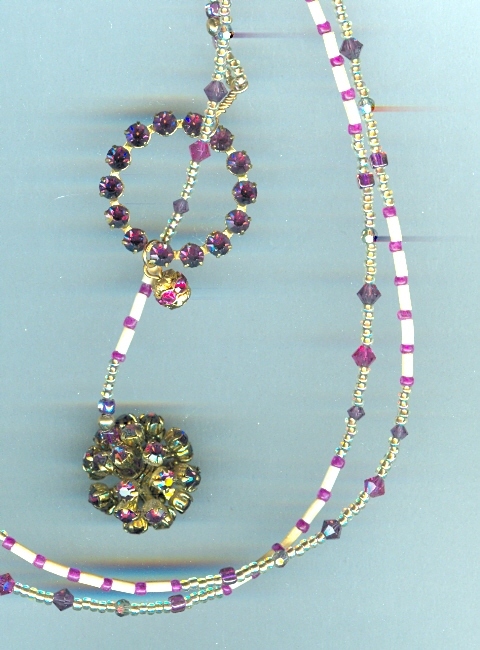 One end sparkles with a vintage 'Sputnik' bead: a 20mm-diameter globe of gold plate spikes, each one tipped with a prong-set 4mm amethyst Swarovski crystal stone. 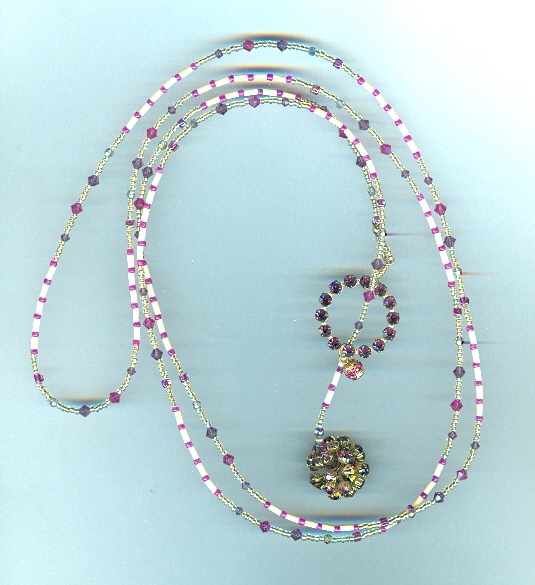 The other end has a 28mm-circlet, set with the same stones. Both findings are over fifty years old. 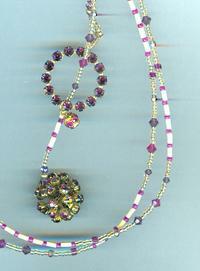 In between I've strung 52 inches of vintage ivory glass bugle beads, and matte fuchsia and old gold lustred seed beads; plus 3mm and 4mm Swarovski crystal beads in fuchsia, amethyst and black diamond aurora boreale. 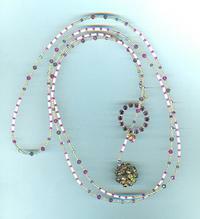 The result is an ultra-versatile lariat that's as beautiful as anything you might find in a mythical Himalayan paradise.